A foreman talks to a group of construction workers under a tree, in the shade. 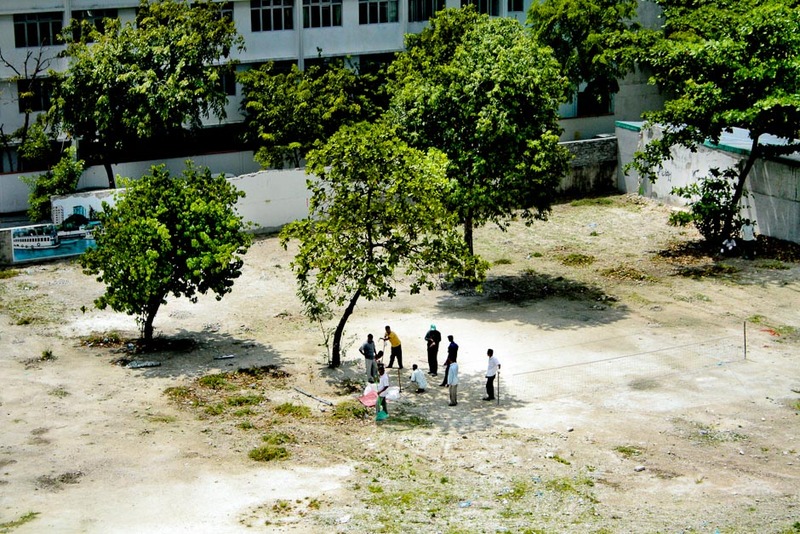 Construction business is on the rise, making semi-skilled workers and laborers flock to Maldives to find work. The problem has grown worse, as some recruitment agencies becoming part of international human trafficking rings. The government has acknowledged the problem, and are seeking ways to deter the influx of foreigner laborers seeking employment in the country. There are regular checks conducted by Maldives National Defense Force on proper employment permits and work visa in the country now. Could have been greater if it was closer than this. Where is your telephoto lens? What are the prices like in S'pore ?? ?